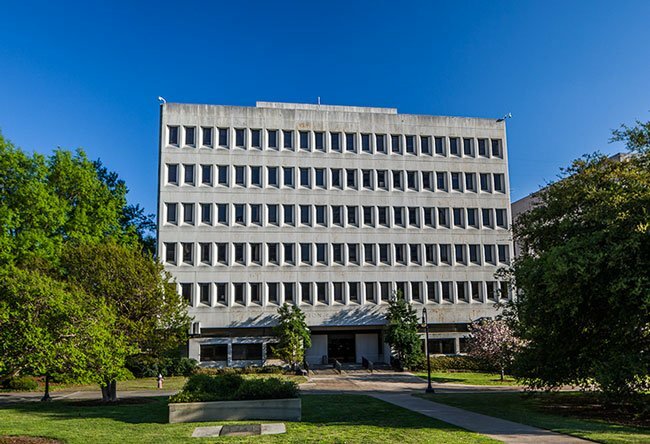 The L. Marion Gressette State Office Building stands on the grounds of the South Carolina State House complex in Columbia. Dedicated in 1979, this modern addition houses the offices of the state senators and their staff. The building was named for Marion Gressette, a Calhoun County native who served as both a state senator and representative. Nicknamed the Grey Fox, Gressette served in the House of Representatives twice – from 1925 through 1928 and again from 1931 until 1932. A few years later he began his service in the state senate, serving from 1937 until his death on March 1, 1984. He was Senate President Pro Tempore from 1972 until his death.